The songs are in quotes and can be found on the CD (or LP) in italics. Died December 2008. Legendary folk/blues/spiritual singer. Active in the Civil Rights movement. Influenced many artists, including Bob Dylan. Music historian/performer, legend. With arrangements by Professor Alex Bradford, gospel re-telling of Christmas story. Electrifying performances on Broadway in 1962. Took to London for several tours and revivals. Considered one of the inspirations for Godspell and Jesus Christ Superstar. Two powerful voices – Marion Williams’ lower, warmer voice and Princess Stewart’s higher, raspier voice. Little known group from Richmond, Virginia but very popular during the Golden Age of Gospel Music. Very traditional – rarely with instruments, a cappella, flat-footed jubilee style. 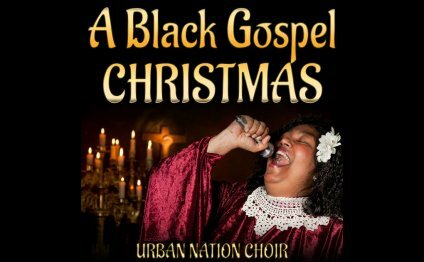 Wonderful arrangements of old spirituals and hymns. Sang at funeral of Franklin Delano Roosevelt… best known for their speaker-rumbling bass singers, although sadly not on their few Christmas releases. One of my all-time favorite groups … one of the last of the best gospel quartets to be formed … singer Joe Ligon is one of gospel’s last great shouters … and is the model for Wilson Pickett, who used to guest with them occasionally … called the “Temptations of Gospel” … still hard on the road today! Know virtually nothing about Karen Kraft … this was recorded for a small Austin label in the 1980s, heard she lives in Bryan-College Station … interpretation of a song originally written by Amy Grant and Michael W. Smith – but the original doesn’t sound much like this! Most recent track in collection. The Progressive Radio Choir has been based and recording in Chicago since the 1970s. For a time, recorded with Pastor (now Apostle) Donald L. Alford, including their hit “He’s Alive.” Alford is now head of the Progressive Life-Giving Word Cathedral near Chicago, but the choir continues and this may be the best legacy of their short collaboration. What’s A Life’s Work about? It’s a documentary in post production. You can find out more on this page. We are in the home stretch and are raising money for post-production: specifically, to pay for archival footage rights, animation, sound mixing, color correction, E&O insurance and a bunch of smaller things. When that’s done, the film is done! It’s really very VERY close! So here’s how you can help get this film out to the world. It’s very simple: click here, then click the “make a tax-deductible donation now” button, enter the amount you want to contribute (as little as $5, as much as $50, 000) and the other specifics. That’s it. No login or registration required. Your contribution does not line my pocket; because the film is fiscally sponsored by the New York Foundation for the Arts, all money given this way is overseen by them and is guaranteed to go toward the completion of this film. Being fiscally sponsored also means that your contribution is tax-deductible. So why not do it? The amount doesn’t matter as much as the fact that you’re helping to bring a work of art into the world. And that, I think, is really exciting! More than $1, 700 has been given to the film so far, and that without really trying or the big hyped-up push of crowdfunding. Oh, how nice it would be for everyone if A Life’s Work didn’t have to crowdfund!